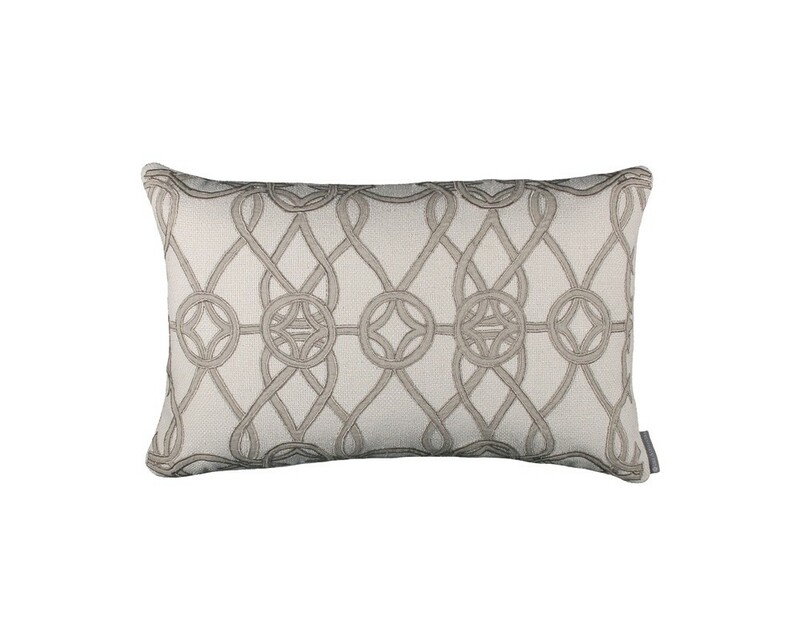 Gypsy Small Rectangle Pillow (14x22) is made of Ivory Basket Weave with Natural Linen Applique. A pillow insert is included. Professional Dry Clean Only. Imported.